Independent is pleased to announce its new program and new dates for Independent Brussels 2018, now taking place on November 8–11, 2018. Following the recent appointment of guest curator Vincent Honoré, the program will mark the first of many initiatives aimed at transforming Independent’s gallery-centric model for art fairs. Since Independent Brussels launched its first fair in 2016, many international artists, curators and collectors have made Belgium their home following critical shifts in the global and political economy. 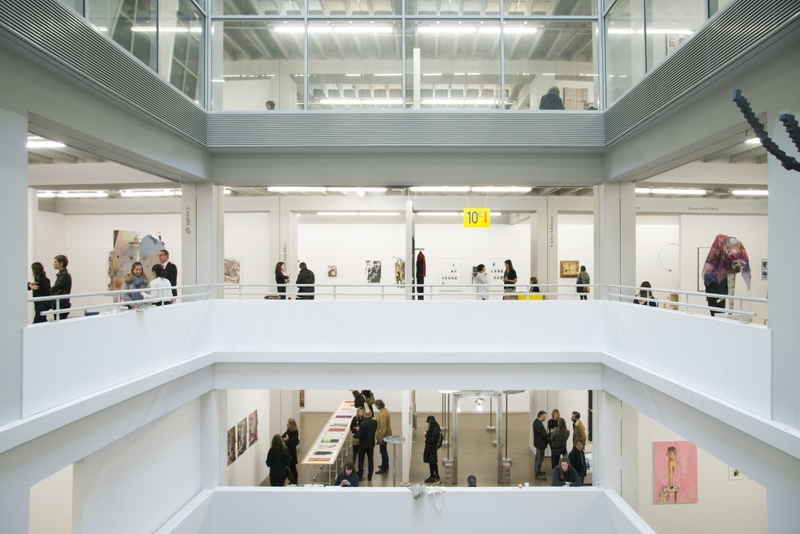 Independent Brussels 2018 will continue to invite and work with an excellent international roster of galleries in concert with its primary partner, the city of Brussels, and continue to be located at the historic Vanderborght building. In its new format, an open festival of events will welcome performances, installations, talks, poetry, dance, music, and discussions to create an experiential atmosphere, resulting in an arena for experimentation, unexpected interactions and collective thinking. “Independent Brussels will be entering its new phase with renewed ambition, reiterating its commitment to the city and its dynamism,” says guest curator Vincent Honoré. “We’re inviting galleries, non-profit spaces and museums of artistic excellence to explore new and often uncommon territories, and drive dialogues that support artists in novel ways. Our goal is that Independent Brussels becomes a festival of engagement.” For Independent 2018, Honoré will present a platform on the ground floor of the fair, welcoming poetry, dance, music, talks, discussions, installations, and performances. “It is a versatile exhibition with an unstable form, made of movements, rhythms and thoughts, bringing together artistic practices manifesting the themes in a number of contrasting, innovative and provocative ways. The project activates the space at all time, proposing an arena for experiences, interactions and collective thinking,” explains Honoré. Independent established the first fair in 2010 at the Dia Center for the Arts in New York City and has grown to a network of over 250 galleries worldwide. Simultaneously an art fair, an exhibition, and a curatorial platform, Independent Brussels 2018 will explore a dialogue between historical, established, and emerging practices while also embracing more maverick positions. Participants will present a mix of solo, two-person, and historical shows, facilitating an experience that more closely resembles a biennial or museum presentation. For additional information, please contact press@independenthq.com.